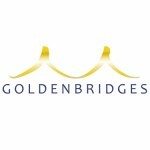 The Golden Bridges Foundation is a 501(c)(3) nonprofit organization registered in San Francisco, with operations in Beijing. The mission of Golden Bridges is to build bridges to China that strengthen the sustainability and capacity of community-based nonprofits and individuals to serve, inspire and transform lives. Project Pengyou is a flagship program of the Golden Bridges Foundation. The mission of Golden Bridges is to build bridges to China that strengthen the capacity and sustainability of community-based nonprofits and individuals to serve, inspire and transform lives.